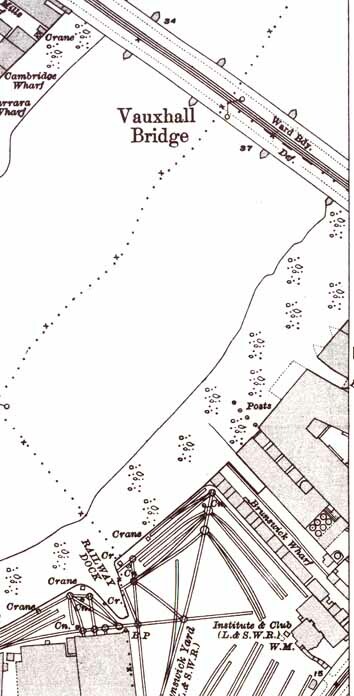 In the eighteenth century Brunswick House (originally Belmont House) stood in five and half acres of parkland with its own jetty and a handsome frontage onto the Old Portsmouth Road. Now some two and half centuries later it casts a rueful glance at five lanes of traffic thundering past all hours of the day and night, a railway viaduct and a bus station, all the while overshadowed and cut off from the river by the massive St George Wharf development. But step inside and you begin to feel a Georgian sense of ease and elegance and forget the juggernauts and buses outside. 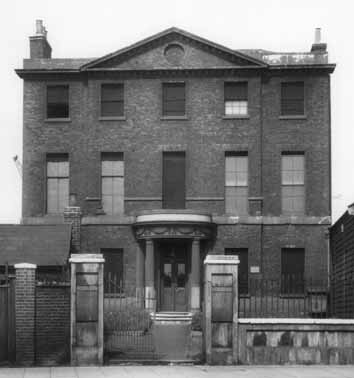 Incorporating an older building already on the site, building work at Belmont House began in 1758. Panelled rooms with large windows looked out over the Thames, upstream along Chelsea Reach, downstream to the Palace of Westminster and facing the highway a first floor balcony looking towards the Oval, then market gardens. However before the end of the century the house had been divided, into two ‘maisonettes’. It was one of these that the Duke of Braunschweig (Anglicized to Brunswick) leased in 1811. He had little time to enjoy his riverside idyll, returning to the Continent in 1813 to die in battle against Napoleon at Quatre Bras. The Duke hadn’t been the first military tenant, a few years earlier Emperor John Alexander Woodward had lived in Belmont House. A decade later the Reverend Henry Williams Baker was born at Brunswick (then Belmont) House on May 27th 1821. 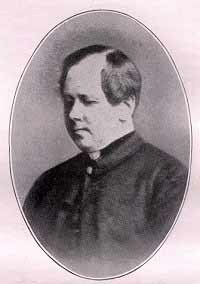 Apart from writing many famous hymns including ‘The King of Love my Shepherd is,’ and ‘Lord Thy Word abideth,’ he also edited Hymns Ancient and Modern from 1860 to 1877. Twenty-five years later the railways had arrived just around the corner in Nine Elms Lane, the riverside industries had spread and the gas works were only two hundred yards away. 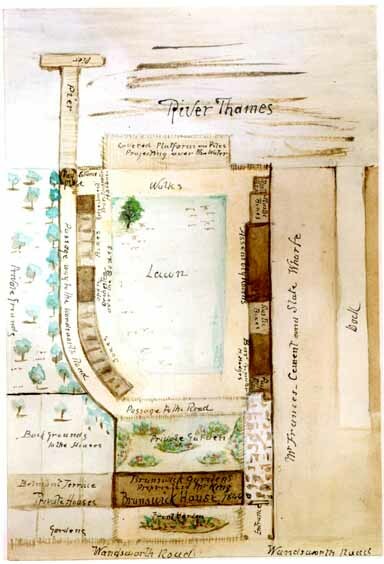 The building was no longer a country hideaway although in 1845 plans were still being prepared for replanting the garden down to the river and this illustration shows broad walks down to the river bank with its ‘covered platform projecting over the water’ and a pleasing private garden. Alas shortly after, a fire gutted the eastern end of the building. 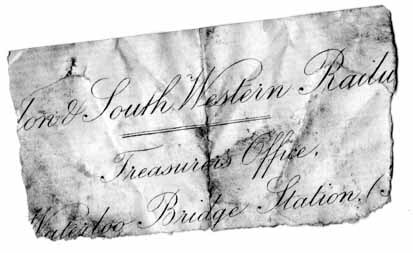 The fire suited the plans of the London and South Western Railway Company; the directors had been interested in Brunswick House for a while, its extensive gardens would give them a riverside wharf and ample room for their cranes. 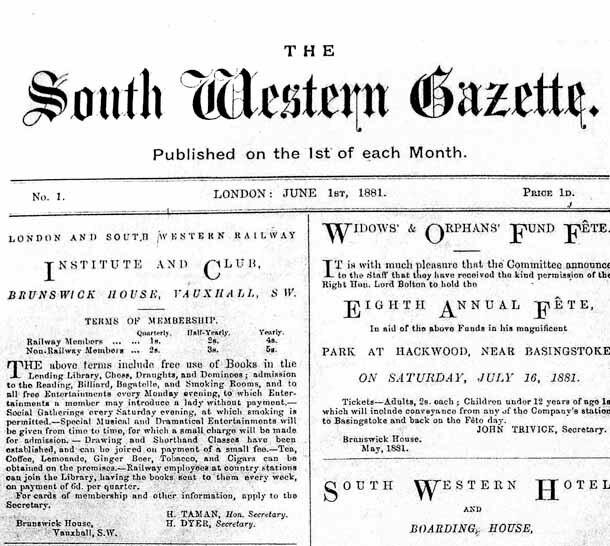 They bought both halves of the building and by 1860 had reunited them to create offices for their goods yards. The balconies were removed after the fire though one of the balcony brackets survives in the large first floor room facing the Thames. It supports one of the winders of the flight of stairs leading to the top floor. These stairs had been realigned to give a larger room to the front of the building. I was told that the table tennis club had used this room until fears for the ceiling below led to its being handed over to the chess club. 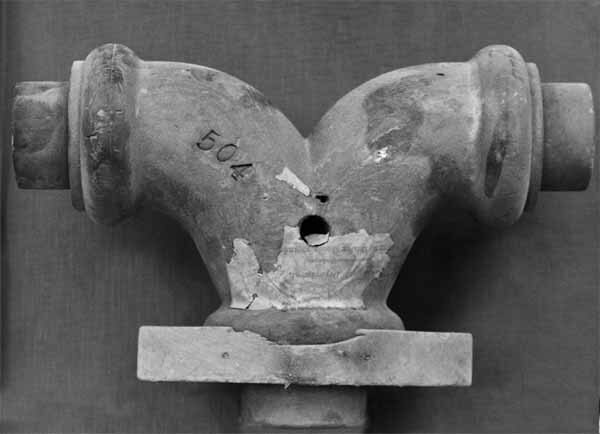 During recent restoration work in an attic I found patterns for locomotive pipework, not that surprising given that the building was used by the London and South Western Railway as its goods yard offices, and that by 1900 the adjacent Nine Elms Loco works were employing 2,700 people. By 1863 the Railwaymen’s Club, or to give it its official title, The Literary and Scientific Institute was opened on the upper two floors leaving the lower floors for railway offices. The institute almost faded away in the late 1870’s but redecoration of the building and a wider variety of entertainments re-invigorated it. 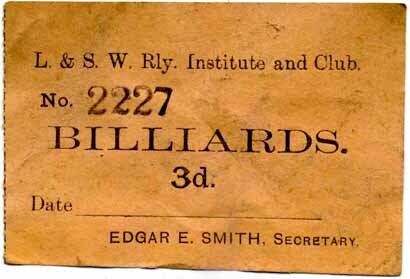 Apart from the choirs and clubs, by the turn of the century there were three billiard tables. On the ground floor one can still see the post fashioned from bullhead rail inserted to carry the extra weight. These tables survived until the squatters sold them in 2002. Once the temperance movement influence faded the railway club installed a bar on the ground floor and a large bar in the concert hall. What is now the LASSCO office became a dining room with a servery providing hot meals throughout the day. Concerts and dances were held in the concert hall which was built in 1890. A lending library opened on the first floor and until 2002 this room was known as the reading room and its door sported a sign announcing this to the members. 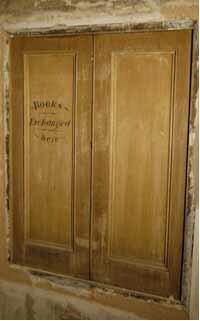 The hatch where books were exchanged is visible again after a century behind hardboard and wallpaper. 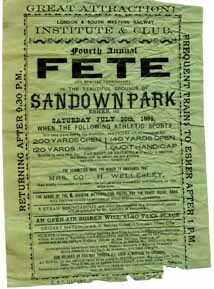 For the athletic members there were plenty of opportunities at the L&SWR fetes. The twentieth century began with an improved flat for the caretaker on the top floor though more railway lines and cranes between the house and the river. During World War II an army unit was stationed on the first floor of the building to protect the goods yards. ENSA concerts were held in, and Workers’ Playtime broadcast from, the concert hall. A 1942 photograph shows Brunswick House with its windows boarded up and white paint on the porch columns to make life easier during the blackout. The original timber concert hall is just visible on the right and the size of the garden before the road widening of the 1970’s is evident. At the time the photograph was taken trams from Battersea, Clapham and Wandsworth still ran past the house. The early 1950’s brought another flurry of refurbishment modernising the caretaker’s flat which by now had become a perk for the secretary of the Brunswick House Staff Association. In 1967 Nine Elms Motive Power Depot closed, the tracks, which had run to within feet of Brunswick House, were lifted and British Railways handed the whole of the building over to the staff association. In the 1970’s there was a tussle with the GLC concerned that the concert hall was blocking their (dystopian) vision for Vauxhall Cross. After a stand off between British Rail and the GLC, the latter agreed to replace the timber concert hall (an old goods shed) dating from the 1890’s with a brick building approximating to Brunswick House in style but on their preferred alignment. 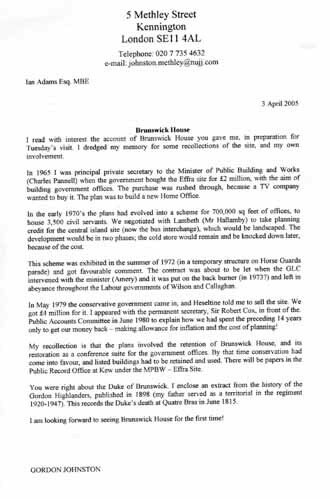 Of course all this would have been irrelevant had Brunswick House not been listed in 1973 thus blocking GLC plans to demolish or relocate it to Camberwell Grove. In the ‘seventies the ‘Brunswick Bar’ was used as a film set. It was painted to represent a NAAFI on an RAF base. After filming the film company asked the management committee how they would like the bar to be left. The secretary asked for red flock wallpaper and an orange and pink paint scheme- and got it. More recently MI5 and MI6 staff and police would meet at the club, apparently because they were concerned that their own buildings were bugged. Less dramatically early meetings of the fledgling Bluebell Railway were held on the top floor. The ‘Brunswick British Railways Staff Association Club’ might still be here but fate intervened in the form of John Major. His government privatized the railways and in 1994 the British Rail Property Board sold the building to the staff association. This gave a crafty member of the committee the opportunity to forge his colleagues’ signatures and sell the building to a developer in 2002. After two years empty except for squatters Lassco bought a rather battered Brunswick House and began its restoration. 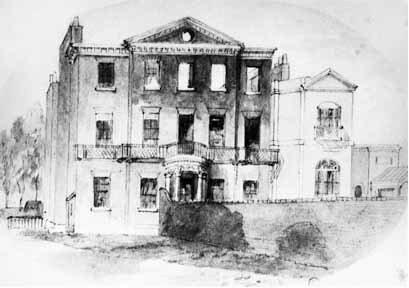 There’s still a lot to discover about Brunswick House in the late eighteenth century with the Pleasure Gardens a short walk away, the Cumberland Tavern on the bank of the River Effra which divided and flowed both to the east and the west of the house. 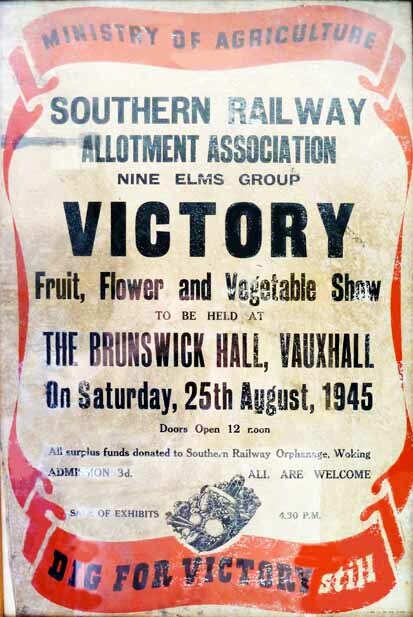 Fortunately the London and South Western Railway with its ambitious plans helped to save Brunswick House and now it survives, a reminder of an earlier London when Vauxhall was still a ‘green and pleasant land’. the club closed the building had a working fire alarm, burglar alarm, central heating system, lighting and a rain tight roof. Two years later nothing worked, every door had been kicked in, shutters had been burnt for firewood. The records and minute books of the club/staff association had been burnt trashed or stolen and quite repulsive graffiti covered most of the walls. The builders working on St George Wharf used to practice chucking scaffold fittings through the windows and they only stopped when I called the police. Apart from generally trashing the place the squatters ripped out and sold all the fireplaces, apparently getting about £25 a pop for them. The billiard tables were also gone thought the shaded lights over the tables were still there when we bought the building. In a tin shed in the back yard, close to the site of the old weigh bridge was a Mercedes-Benz which unable to find an owner for was taken away by the scrap man. Vic did move to Devon, Seaton Junction if I remember correctly where he is president of a Jaguar owners club. He was very good company and they gave me a lot of background information. 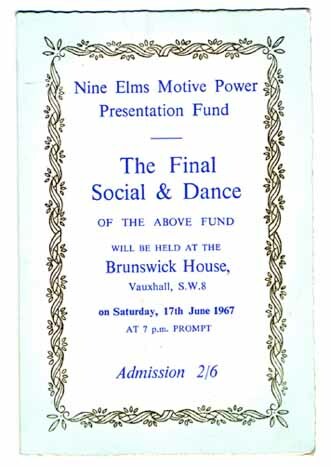 Vic gave me the copy of the invitation to the last dinner dance marking the closure of the Nine Elms MPD which I included in the short history. I have now passed that on to the Minett Library (the Lambeth Archive for those of you who don’t remember it). Since their visit a local chap came by and sold us a suitcase of photos from the 1940’s and a minute book from the forties fifties and sixties. There was also a minute book from the late nineteenth century. I wasn’t totally convinced by his story that his grandfather had had it in his attic for thirty years- it smelt very much off the strong tobacco smell of the cupboard above the stairs on the top floor. However I reluctantly paid for the suitcase because otherwise there was a good chance he would just sling it. Your engineman correspondent may also be able to identify some metal parts which I shall photograph and email to you.